Helan Mountain Stadium is a multi-purpose stadium in Ningxia, China. It is currently used mostly for football matches. The stadium holds 39,872 spectators. It opened in 2013. Yiyang Stadium is a multi-purpose stadium in Yiyang, China. It is currently used mostly for football matches. The stadium holds 30,000 spectators. Jiangxi Olympic Sports Center is a multi-purpose stadium in Nanchang, China. It is currently used mostly for football matches. The stadium holds 50,000 spectators. It opened in 2010. Ningbo Cixi Stadium (Simplified Chinese: 宁波慈溪体育场) is a multi-use stadium in Cixi, Ningbo, China. It is currently used mostly for football matches. The stadium holds 16,000 people. Dazhou Xiwai Stadium is a multi-purpose stadium in Dazhou, China. It is currently used mostly for football matches. The stadium holds 30,000 spectators. Luoyang Stadium is a multi-purpose stadium in Luoyang, China. It is currently used mostly for football matches. The stadium holds 39,888 spectators. It opened in 2008. Mianyang Stadium is a multi-purpose stadium in Mianyang, China. It is currently used mostly for football matches. The stadium holds 30,000 spectators. 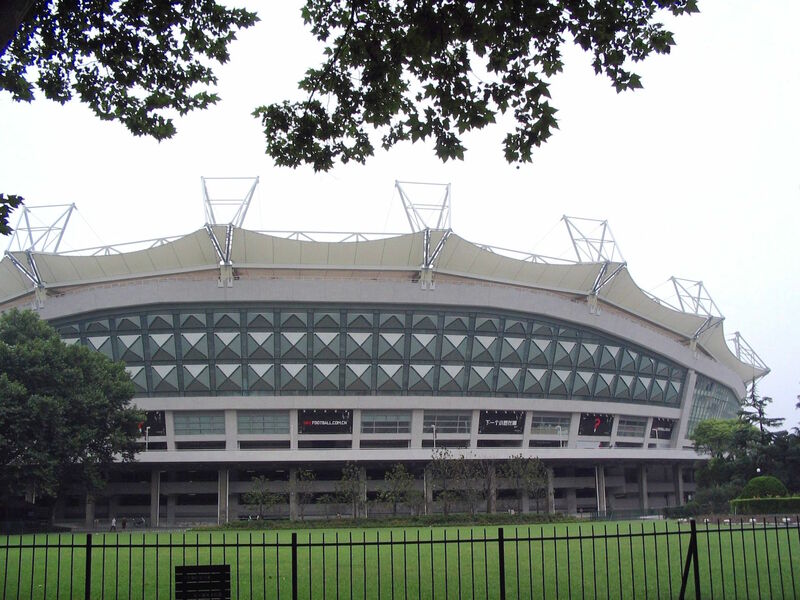 Tianhe Stadium (Chinese: 天河体育中心体育场) is a multi-purpose stadium in Guangzhou, China. It is currently used mostly for football matches. The stadium has a seating capacity of 58,500. Huainan Sports Stadium is a multi-purpose stadium in Huainan, China. It is currently used mostly for football matches. The stadium holds 20,000 spectators. It opened in 2010. Tianjin Locomotive Stadium (Simplified Chinese: 天津火车头体育场) is a multi-use stadium in Tianjin, China. It is currently used mostly for football matches. This stadium's capacity is 12,000 people. Fuzhou Stadium(Simplified Chinese: 福建省体育中心), is a multi-purpose stadium in Fuzhou, China. It is currently used mostly for football matches. The stadium holds 30,000 spectators. The Guiyang Olympic Sports Center is a stadium in Jinyang New Area, Guiyang, China. Completed in 2010 it hosts football matches and has a capacity of 52,000 spectators. Changzhi Stadium is a multi-purpose stadium in Changzhi, China. It is currently used mostly for football matches. The stadium holds 30,000 spectators.